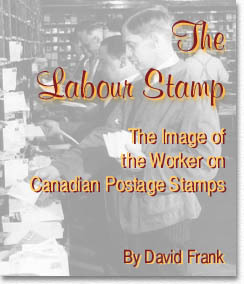 This article originally appeared as David Frank, "The Labour Stamp: The Image of the Worker on Canadian Postage Stamps," Labour / Le Travail 39 (spring 1997), pp. 179-194. The numbers in parentheses throughout the text refer to the commonly accepted Scott Catalogue numbering system. For Canadian stamps the numbering follows the Unitrade Catalogue, while for foreign countries it is based on the Standard Postage Stamp Catalogue, published by Scott.